The Eddie Slayton Memorial Award is a lifetime achievement award created by Regional CAC’s Board of Directors as a way to recognize those who have gone above and beyond to serve children. The award is named after the late Eddie Slayton, a longtime Board Member and advocate for children. 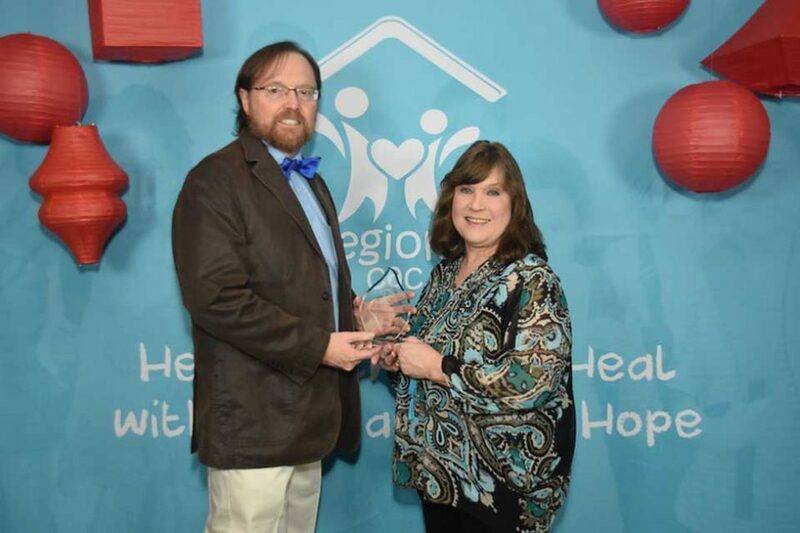 This annual award honors professionals or volunteers who have made a significant and positive contribution to serving and protecting children in Clarke, Washington, and Choctaw counties. Every year the Eddie Slayton Award is presented to the winner at the annual “Honor Thy Children” Dinner and Auction. The 2018 Award winner is Dr. Katherine Hensleigh, who has served children through her medical practice for many years in Butler, AL. Next year’s event will in February at the H.G. Pearce Memorial Assembly House in Jackson, AL.